« What’s Not to LOVE? 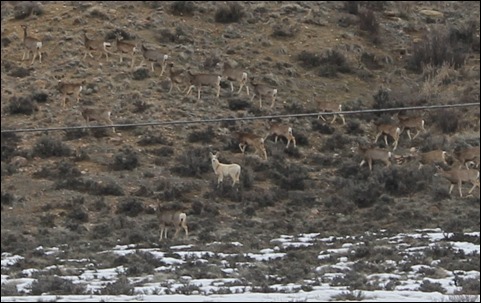 The lands surrounding the ranch are a huge wintering ground for the deer and elk herds in our off-season. We see them by the hundreds. But yesterday we saw something we'd never seen before--here or anywhere else! 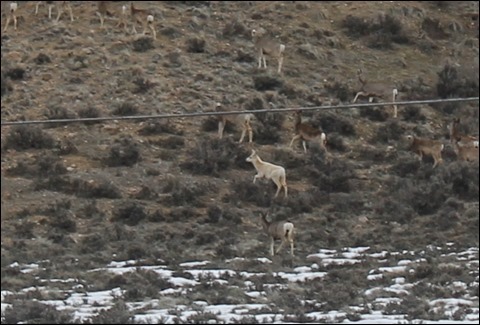 A white mule deer! 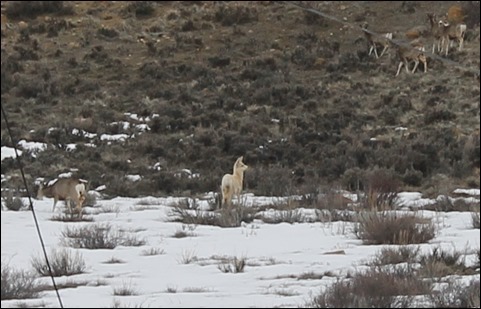 (Yes, we know it looks like a llama—but trust us—it’s a mule deer.) Perhaps he/she (they just shed their antlers so it's difficult to tell from a distance) will stick around and we'll be able to see it when it's all shed out this summer. Beautiful and very unique—don’t see too many of these!